I read this article and found it very interesting, thought it might be something for you. The article is called How to Break Through a Weight Loss Plateau and is located at https://trustworthyfitness.com/how-to-break-through-weight-loss-plateau/. So, you’ve gone on a diet, things have been going well, and the weight has been coming off in a nice, steady fashion. Then, it happens. Suddenly, the numbers on the scale won’t budge. What’s happened? You’ve hit a weight loss plateau? As disheartening as this can be, especially after all of your hard work, it is important to understand that hitting a weight loss plateau is actually quite normal. Regardless of how diligent you might be in following a good regimen, from time to time, you will experience a plateau. The important thing is to understand that this is normal and not give up. There are some steps you can take to get back on track and begin losing weight once again. When most people experience a weight loss plateau, they are tempted to severely slash their calories in an effort to begin losing weight again. This is actually one of the worst things you can do. Instead, try the following techniques to begin dropping the weight again. Before we begin it’s also important to understand that the scale is usually wrong and not very accurate. If you see the scale isn’t moving downward a little bit each day this is quite normal. The body holds onto water and this can cause the scale to stay the same or even go up a little. In my personal opinion if you don’t see the scale move within a period of two weeks then you hit a plateau. Go ahead and adjust your caloric intake, but take care not to restrict the calories too much. 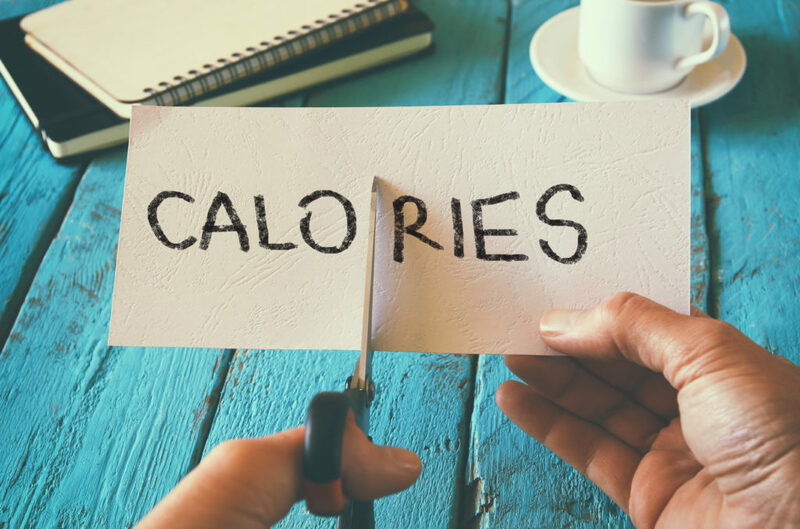 If you have noticed that you’re no longer losing weight, try simply cutting between 100 and 200 calories from your diet to begin making progress once again. Please keep in mind it’s normal to not see any weight loss for a few days sometime on the scale. The body can hold a good bit of water which alters the number of the scale. You very well could be losing weight, but due to the water the scale numbers aren’t moving. In time the water does come off on it’s own. What types of food are you consuming? Are you relying heavily on processed foods? If so, make the switch to more quality whole foods, such as beans, vegetables, lean proteins, and high-fiber fruits, all of which can provide the energy your body needs to burn body fat. And another reason you might not be losing any weight is because you’re consuming too many calories daily. If you’re counting calories it’s critical that you measure and weight your food with a kitchen scale. If not, you could be taking in an extra 200 – 400 calories a day which is keeping that scale from moving down. Another problem you might not see the scale drop is because you’re eating out at restaurants too much. Most popular restaurants under estimate the real amount of calories present in a dish. Especially the low calorie menu options. One example is the Zuppa Toscana soup from Olive Garden. I love this stuff and I order it every time I go, but the calories aren’t accurate in most cases. According to the website Live Science, research has been done that shows this soup which is supposed to contain 191 calories actually measured closer to 391 calories. I’ll link to the article here as it’s an interesting read. You can eat out at restaurants and enjoy yourself but remember that the calories might not be 100% accurate. You might find that the reason you haven’t been losing is you’re just consuming too many calories. Have you been following the same workout routine for the past several weeks or even months? If so, it could be time to change things up a bit. As your muscles become familiar with the same exercise routine, it tends to become less effective. To produce a change in your body fat loss, it’s necessary to step outside your comfort zone. Try including some high intensity interval training, which has been shown to be incredibly effective at burning body fat. This could be done by alternating walking and running, during a boot camp class, or even speed walking. Work on progressing slowly when including high-intensity exercise into your normal workout routine. If you attempt to include this type of exercise too fast, you will likely end up feeling tired and sore and could even be at risk for an injury. And always check with your doctors first to make sure it’s okay. Seems simple right? Are you getting a sufficient amount of sleep? If not, your body could actually be holding onto weight. A full night of sleep is essential to losing body fat because it allows your body to reset your hormones naturally. While it might not seem like much, even slight sleep deprivation could result in increased levels of cortisol, which is a stress hormone. That can lead to an accumulation of body fat, especially around the midsection. So, if you have been burning the candle at both ends, make an effort to get eight full hours of sleep each night. And I know you’ll thinking if the body holds onto water then won’t drinking more keep the fat from coming off based on what I said earlier? Nope, not at all my friend. Water weight is not the same as losing fat. Two different things. You’re body could hold on to 2 to 3 pounds of water in some cases, but you could still be losing fat. So don’t worry. Drinking enough water is critical to losing weight and will help keep you full. 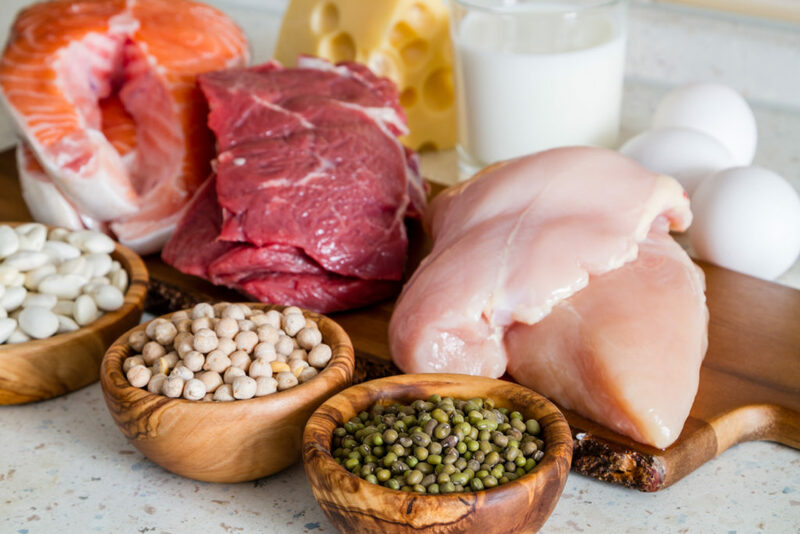 As contradictory as it might seem, eating more protein can actually help you to boost a weight loss plateau. Of all of the various types of food, protein has the highest thermic effect. This means it is capable of burning more calories during the digestion process. Additionally, protein also contains leucine, which is an amino acid. Research shows that this amino acid serves as a powerful catalyst for burning fat. Protein is also essential in keeping your body from losing too much muscle which tends to happen sometimes when people lose weight. A good serving of protein will also help keep you nice and full which helps with cravings and feelings of hunger. If you have trouble adding in enough protein into your diet I recommend a quality protein powder. The one I use and recommend is Biotrust Low Carb. You can even use protein powder in different recipes too. Are you a fan of coffee, energy drinks or other caffeinated beverages? If so, your coffee habit could be making an impact on your weight loss plans. According to research, if you drink more than five cups of coffee daily, you could experience problems with increased belly fat storage. Conversely, a separate study found that combining five cups of green tea with three hours of exercise weekly could help you lose two more pounds than if you don’t drink tea. Why exactly is green tea so helpful for losing weight? It’s the compounds known as catechins contained in green tea that help to whittle away belly fat by giving your metabolism a boost. If you find that you just can’t give up your caffeine habit, but you have hit a weight loss plateau, consider making the switch to green tea to get back on track. In order to gain the most benefits from this technique; however, you need to make sure you eat the right foods as part of your cheat meal. This means a meal rich in carbs. Within a few days, you should start seeing weight loss progress once again. Wondering why this works? It’s because when you lose weight, you also lose fat. the less fat your body has, the less leptin you produce. Leptin is known as the satiety hormone and it is responsible for telling your brain to conserve calories in order to prevent your body from starving. According to research, the best way to increase your body’s leptin production is to consume more carbohydrates. Unlike protein and fat, carbs transmit messages to your brain that you are not starving and convince your body to burn calories at a more normal rate rather than holding onto them. 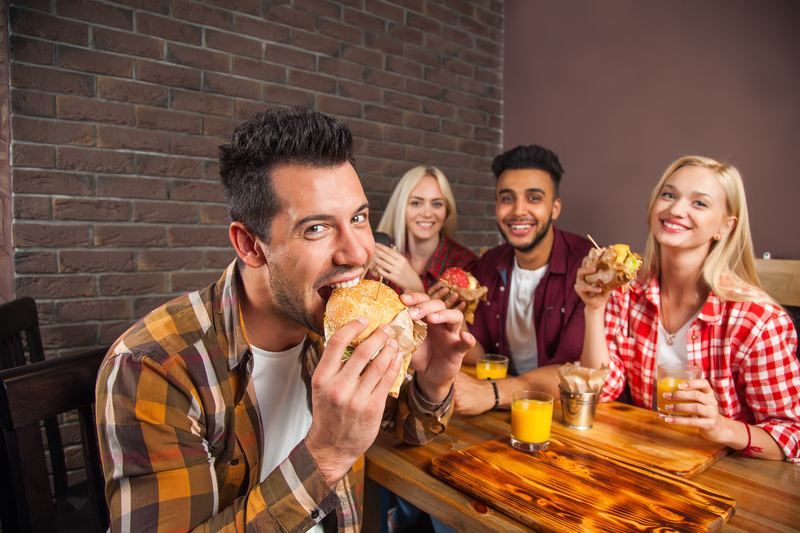 Eating hamburger, donuts, a little ice cream or a slice of pizza could be just what you need to trick your body into boosting your caloric burn, giving you the weight loss you want. Here’s an example of what I do each week with my refeed. Each week usually on Friday or Saturday I consume an extra 600 to 700 calories in mostly carbs. I typical eat 2,000 calories a day (a calorie deficit) and I’m a big believer in counting them. So on Friday or Saturday I would add an additional 600-700 calories in mostly carbs. You may see a slight gain on the scale the next day, but that’s just due to increased water intake because you increased the carbs. Don’t worry about that at all. It will come off. Doing this once a week will help you keep you burning fat. I prefer this more than a cheat day because it’s very easy to over eat during the course of the entire day. A refeed day is planned and organized and helps keep you from over eating. I know this may seem crazy, but when you hit a plateau sometimes the best way to overcome it is by taking a short break. When you’re dieting and eating a calorie deficit for a period of time you’re body start’s to see a decline in certain hormones. I touched on this earlier in the tip above this one. Doing the refeeds helps to prevent this, but after about 4 months of dieting I recommend you take a 2 week break. During this 2 week break you can start eating at “maintenance” which gives your body a chance to recoup and recover. Eating at maintenance means you’re eating enough calories to not lose weight and not gain weight. You’ll eating just enough to maintain your current weight. There are a number of different online calculators to help you figure out how many calories you need to eat for maintenance. It may seem crazy, but this will send a signal to your body that you’re okay and not starving. It can also serve as a nice mental boost for you. Eat whatever during this time, but just make sure you eat the correct amount of calories for maintenance. After the two weeks is up you can then start dieting again and you should see you’ve broken through the weight loss plateau. Now, you will notice the scale jumping up in weight. This is completely normal and don’t worry. During maintenance you’ll consuming a lot more calories than you were when dieting which means more water weight. If you’re correctly eating at maintenance you won’t gain any fat and any weight gain you see on the scale will just be water weight. So completing this two week “maintenance” and then going right back to your diet should help to kick start fat burning again. I recommend only doing a maintenance after 4 months of dieting aka being in a calorie deficit. In the end, going through a plateau is a normal part of losing weight. It happens to pretty much everyone at some point and time. We all want to see progress as fast as possible, but remember a plateau is normal and just the body’s way of making sure you’re okay. It’s the body taking notice and saying “Hey, I’ve noticed you’ve been losing some weight lately. I’m just going to hold off for a few and keep you at this weight to make sure everything is okay”. Just stay focused and don’t lose your motivation. You’ll start losing weight again eventually and hopefully these tips will help you break through your next weight loss plateau.